At the end of an eventful week, nothing is more relaxing than enjoying a date night with your spouse or significant other. Sometimes you just need to relax and unwind, share some laughs with your loved one, or enjoy something you just love to do. If you live in the Lee’s Summit area or are visiting and want to enjoy a night on the town, check out the five best date night spots listed below. Enjoy some adult beverages and some nostalgic games with a date night trip to UP-Down. The bar hosts an extensive craft beer list, with a variety of offerings from the Kansas and Missouri areas. You can also try one of the bartender’s cocktails inspired by the 1980s and 1990s as well. Looking for some fun and retro entertainment? Enjoy the classic arcade games from your childhood all for the bargain price of 25 cents per game. They have everything from classic skee-ball, to Sega and Nintendo consoles, to life-sized Connect Four and Jenga games. Forget all the classic trappings of your typical driving ranges. This favorite hangout is open year-round for avid golfers and those who just enjoy hitting a few. Topgolf is home to competitive play, target based games, and over 100 climate-controlled bays to let you have fun even when the temperature drops. You can also find a restaurant, games, and a rooftop beer garden to create the perfect date night from start to finish. If you are looking for some unique entertainment for your date night excursion, the Uptown Arts Bar may be what you’re looking for. The entertainment changes nightly, guaranteeing a unique experience at each visit. Enjoy some open mic nights, improv shows, poetry slams, DJs, and even open sketch nights where artists will use guests as their models for the evening. Sample some of the area’s local wines and enjoy a tour of the fantastic Stonehaus Vineyards at the same time. Check out the calendar of events when planning your date night, as the vineyard offers special days for everything from live music to wine and painting classes, providing entertainment for a fun or romantic date night. If you are looking for some excitement for your date night adventure, you can enjoy one of the many artistic class offerings at Lucia. There are a variety of aerial classes you can take including yoga, trapeze, silks, and aerial hoops. Try a trapeze class for two, or test your skills solo. Not sure if the aerial acrobats are for you? You can check out one of the professional company performances. 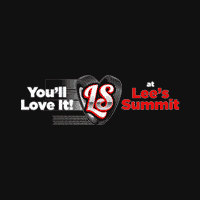 The Lee’s Summit area has much to offer for a romantic getaway for two. Whether you are looking for a relaxing afternoon, a night of drinking or laughs, or something more athletic, you can find it at one of the amazing date night locations listed above. This photo, “Bio Wine Vino Vine Vineyards,” by Markus Spiske used under CC 1.0 Universal. “Bio Wine Vino Vine Vineyards” is licensed under CC 1.0 Universal by Lee’s Summit Dodge Chrysler Jeep Ram.